Enjoy the top 2 famous quotes, sayings and quotations by Thomas McKean. You will probably have but a short time to live. 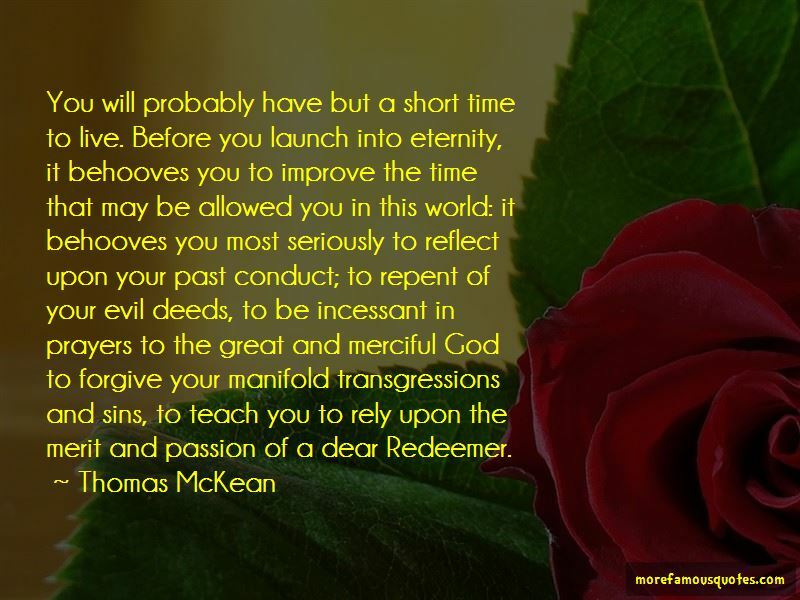 Before you launch into eternity, it behooves you to improve the time that may be allowed you in this world: it behooves you most seriously to reflect upon your past conduct; to repent of your evil deeds, to be incessant in prayers to the great and merciful God to forgive your manifold transgressions and sins, to teach you to rely upon the merit and passion of a dear Redeemer. Want to see more pictures of Thomas McKean quotes? 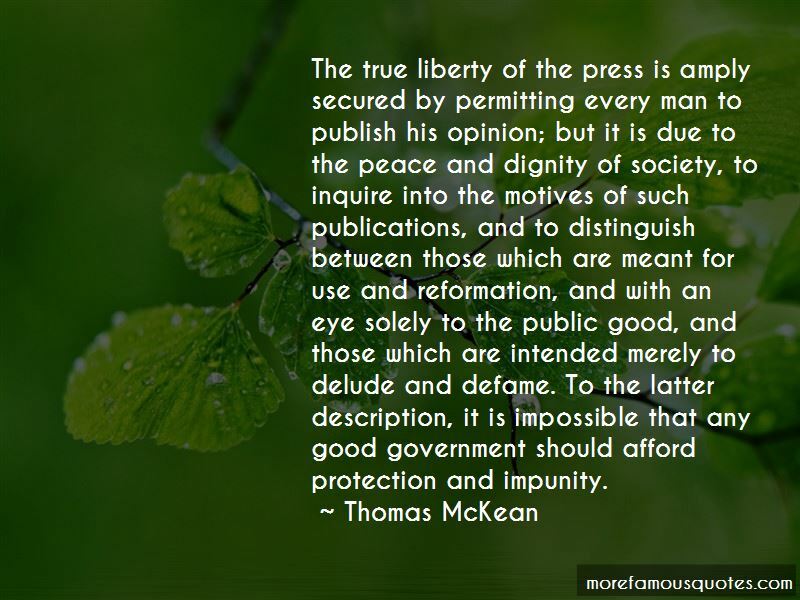 Click on image of Thomas McKean quotes to view full size. “Infallibility: The position that the Bible cannot err or make mistakes, and that it "is completely trustworthy as a guide to salvation and” — Anonymous.